Venture out of the city with trips to Safaris (in Port Douglas) and Hartley's Crocodile Adventures (in Palm Cove). Spend the 29th (Fri) among aquatic life with a scuba or snorkeling tour. There's lots more to do: hike along Esplanade Boardwalk, view the masterpieces at Doongal Aboriginal Art, and take an unforgettable tour with a helicopter tour. For traveler tips, reviews, maps, and tourist information, refer to the Cairns trip itinerary app . London, UK to Cairns is an approximately 23.5-hour flight. You'll lose 10 hours traveling from London to Cairns due to the time zone difference. Expect warmer temperatures when traveling from London in March; daily highs in Cairns reach 36°C and lows reach 27°C. Wrap up your sightseeing on the 1st (Mon) early enough to travel to Brisbane. Step out of Brisbane with an excursion to Sea World Theme Park in Main Beach--about 1h 30 min away. There's still lots to do: stroll around South Bank Parklands, look for all kinds of wild species at Lone Pine Koala Sanctuary, admire all the interesting features of Suncorp Stadium, and enjoy the sand and surf at Moffat Beach. 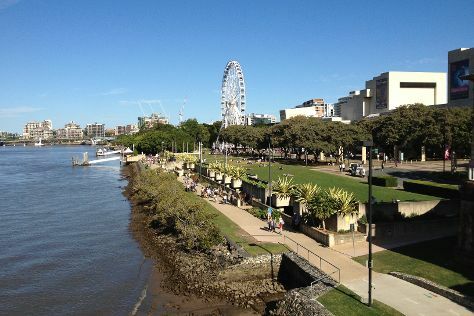 For ratings, traveler tips, where to stay, and tourist information, refer to the Brisbane trip planner . Fly from Cairns to Brisbane in 5.5 hours. Alternatively, you can do a combination of flight and bus; or drive. Plan for a bit cooler temperatures traveling from Cairns in April, with highs in Brisbane at 30°C and lows at 19°C. Finish up your sightseeing early on the 5th (Fri) so you can travel to Sydney. Sydney is known for nightlife, trails, beaches, parks, and museums. 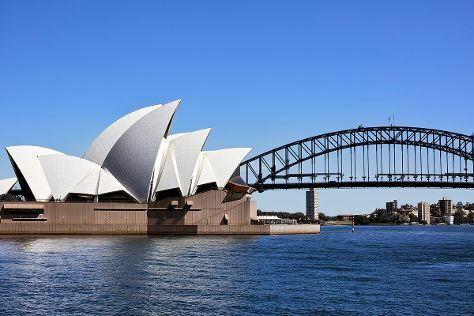 Your plan includes some of its best attractions: see a show at Sydney Opera House, take in nature's colorful creations at Royal Botanic Garden Sydney, examine the collection at Australian National Maritime Museum, and enjoy the sand and surf at Bondi Beach. To see other places to visit, more things to do, maps, and more tourist information, use the Sydney vacation builder website . Traveling by flight from Brisbane to Sydney takes 4 hours. Alternatively, you can do a combination of bus and flight; or drive. Expect a bit cooler weather when traveling from Brisbane in April: highs in Sydney hover around 26°C, while lows dip to 17°C. Finish your sightseeing early on the 10th (Wed) so you can travel to Alice Springs. Alice Springs is known for wildlife, museums, historic sites, nature, and parks. 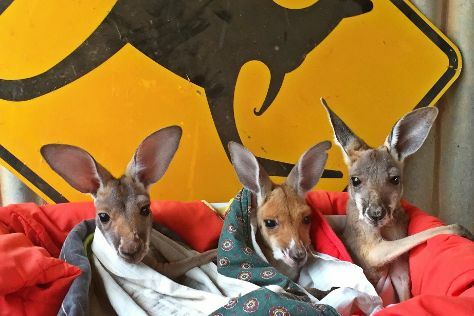 Your plan includes some of its best attractions: identify plant and animal life at The Kangaroo Sanctuary, take in the local highlights with Walking tours, view the masterpieces at Yubu Napa Art Gallery, and stop by Tjanpi Desert Weavers. To see other places to visit, ratings, reviews, and tourist information, read our Alice Springs trip planner . Traveling by flight from Sydney to Alice Springs takes 5.5 hours. Alternatively, you can drive; or take a bus. When traveling from Sydney in April, plan for a bit warmer days in Alice Springs, with highs around 34°C, while nights are about the same with lows around 15°C. Finish your sightseeing early on the 13th (Sat) to allow enough time to travel to Darwin. Spend the 14th (Sun) wandering through the wild on a nature and wildlife tour. There's still lots to do: take an in-depth tour of RFDS Darwin Tourist Facility, tour the pleasant surroundings at Mindil Beach, learn about all things military at Darwin Military Museum, and take in the exciting artwork at Provenance Arts. To find traveler tips, where to stay, and other tourist information, read Darwin online trip itinerary builder . You can fly from Alice Springs to Darwin in 5.5 hours. Alternatively, you can drive; or take a bus. Traveling from Alice Springs in April, expect Darwin to be a bit warmer, temps between 38°C and 28°C. Wrap up your sightseeing on the 16th (Tue) early enough to travel back home.